I love these 'moon in front of planet' pictures. 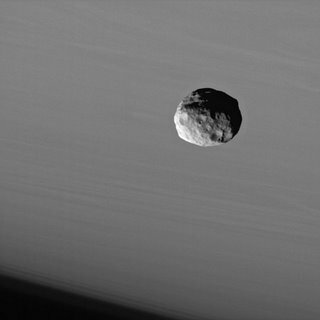 This latest one is of Saturn's moon Janus transiting the planet as seen from NASA's Cassini probe. Comet M4 SWAN brightens unexpectedly! Saturn's rings as you've never seen them before!